The new Motive goggle is the latest offering from SCOTT. Starting out with the worldwide all-time best-selling goggle, the 80-series, we sought to update and refine its classic lines, keep its legendary fit, and improve on the performance of the most popular goggle of all time. The results speak for themselves; the new Motive is both contemporary and retro at the same time, integrating the classic lines of the original with a design vocabulary drawn from todayÃ¢â‚¬â„¢s top industrial designers. The Motive features our patented 100% UVA and UVB protective Amplifier lens that increases contrast and clarity in all light conditions. This remarkable lens is housed in SCOTTÃ¢â‚¬â„¢s proprietary ContourFlex frame that allows the goggle to form a snug, comfortable fit, sealing the goggle to your face. The square sides and arched brow give a nod to the classic frame, while incorporating clean, flowing lines for a progressive look. Looks, however, do not matter if the goggle ends the day early, fogged or frozen. This is where the Motive really shines, featuring a comprehensive venting system to keep air flowing through the goggle and preventing condensation of the goggles inner lens. 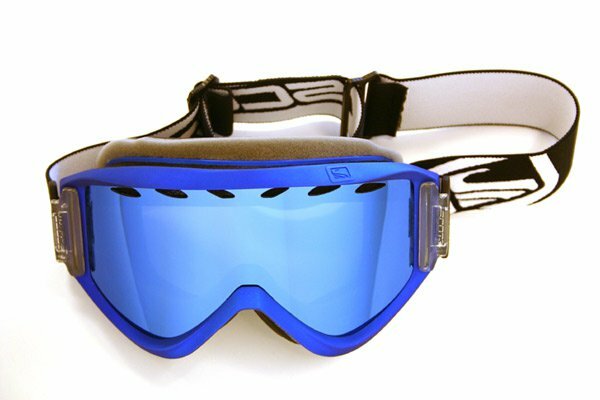 Air Control System [ACS] vent holes as well as a No FogTM Anti-Fog lens treatment also make this one of the worldÃ¢â‚¬â„¢s top-performing goggles, built to conquer all winter conditions. Spy comes up with a new goggle, combining the history of Spy Optic with innovative technology.